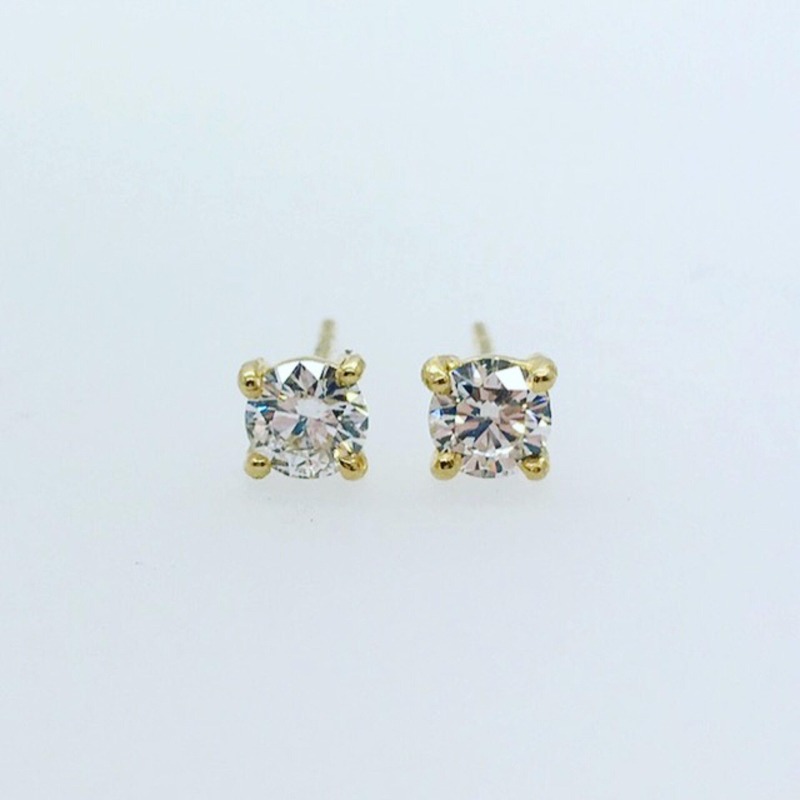 Gorgeous Diamond Stud Earrings with a real WOW! factor - Two 0.30ct Round Brilliant Diamonds set in 18ct Yellow Gold Handmade Douglas Hughes Mounts. G/H Colour VS Clairty - Total Carat Weight 0.60cts.